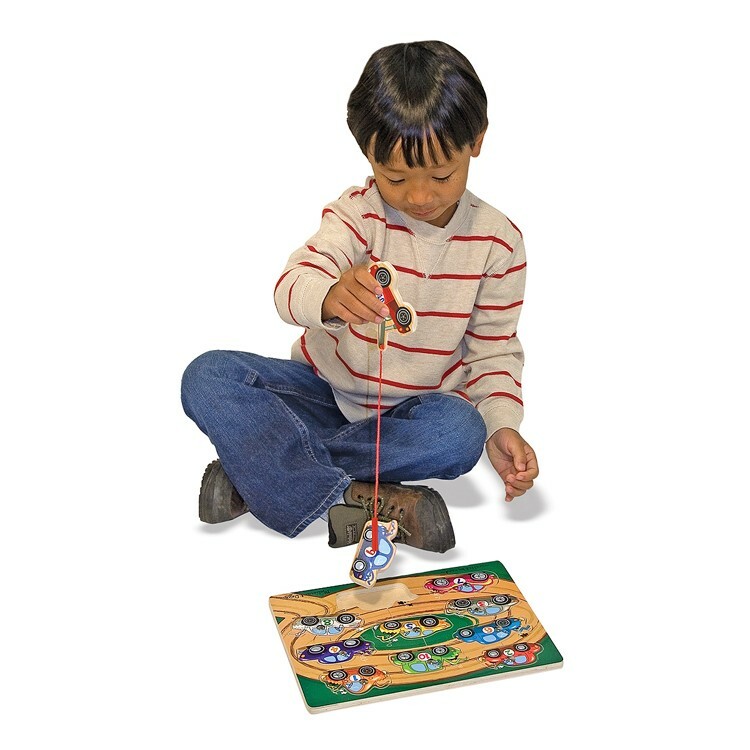 Simply use the magnetic tow truck to remove each car, and then piece together the Tow Truck Game Magnetic Wooden Puzzle again. 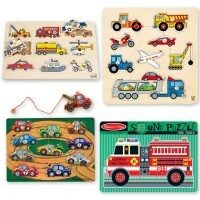 Cars, trucks and number fun! 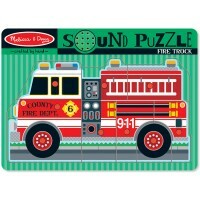 Melissa & Doug's award winning Tow Truck Game Magnetic Wooden Puzzle is an exciting magnetic puzzle all children will love. 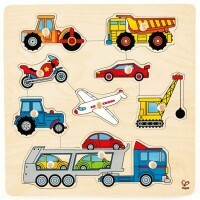 The sturdy puzzle board features ten vibrant racing car pieces. But get ready, some of these cars may have gotten into some minor accidents on the racing track. 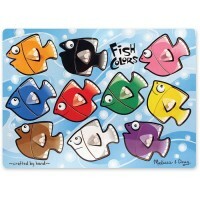 All are clearly numbered and waiting for you to tow them on and off the board! 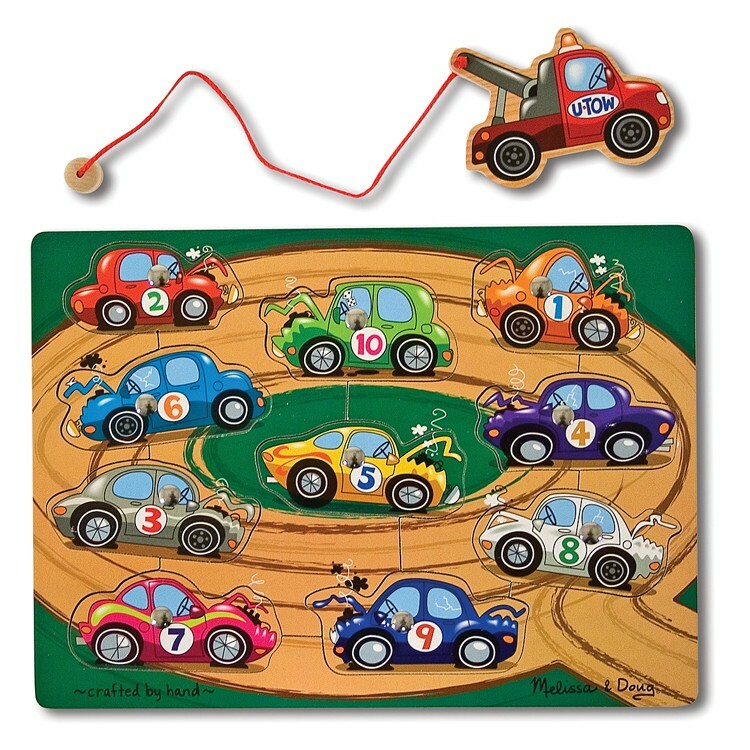 Simply use the magnetic tow truck to remove each car, and then piece together the Tow Truck Game Magnetic Wooden Puzzle again. 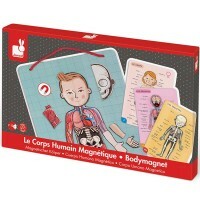 This quality wooden puzzle offered by Educational Toys Planet meets the highest safety standards and is the perfect way to fine tune coordination and motor skills in children of all ages. 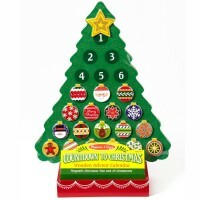 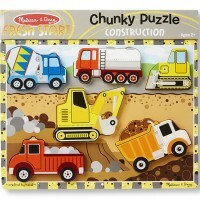 Dimensions of package 8.5" x 11.5" x 0.9"
Write your own review of Tow Truck Game Magnetic Wooden Puzzle. 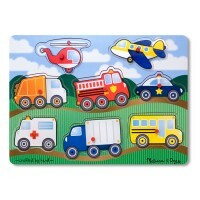 Rating: 4 by Elsie, NJ The students enjoyed using the tow truck and it helped them recognize the numbers. 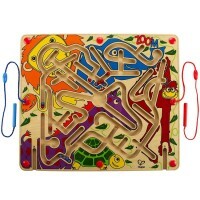 Rating: 5 by LeeAnn, TN My twin boys' favorire game.It's so cute how they play it together!